In A Star Is Born, a new take on the iconic love story, four-time Oscar nominee Bradley Cooper (American Sniper, American Hustle, Silver Linings Playbook) makes his directorial debut and also stars alongside multiple award-winning, Oscar-nominated music superstar Lady Gaga in her first leading role in a major motion picture. The film also stars Andrew Dice Clay, with Dave Chappelle and Sam Elliott. A Star Is Born was produced by Bill Gerber, Jon Peters, Bradley Cooper, Todd Phillips and Lynette Howell Taylor. Ravi Mehta, Basil Iwanyk, Niija Kuykendall, Sue Kroll, Michael Rapino and Heather Parry served as executive producers. The screenplay was written by Eric Roth and Bradley Cooper & Will Fetters. The movie ‘A Star Is Born’ has been told multiple times with some of Hollywood’s greats like Judy Garland and Barbra Streisand playing the leading roles. But there has never been such a hype surrounding it like the upcoming Bradley Cooper and Lady Gaga version. To coincide with the films release, the all original soundtrack takes you on an emotional rollercoaster of highs and lows. The songs perfectly re-tells the story of this passionate romance as well as the struggles of depression, love, heart break and confusion. Including multiple dialogue only tracks taken directly from the movie, this soundtrack is a little excessive in duration. But when you strip away the 18 original tracks, you have these strong and emotional moments that uplift, inspire and break your heart. Not all of these tracks make it into the movie with some of Lady Gaga’s more pop inspired numbers thrown into the mix for a good balance. Rowdy and gritty opener ‘Black Eyes’ introduces Bradley Cooper as a raw rock n roll vocalist and will have you immediately impressed. Lady Gaga is then introduced with a beautiful and delicate cover of ‘La Vie En Rose’. While Bradley incorporates some country rock influences of the solo tracks ‘Maybe It’s Time’, ‘Out Of Time’ and ‘Alibi’ the two vocalists finally collide with the stunning and gritty duet, ‘Shallow’. 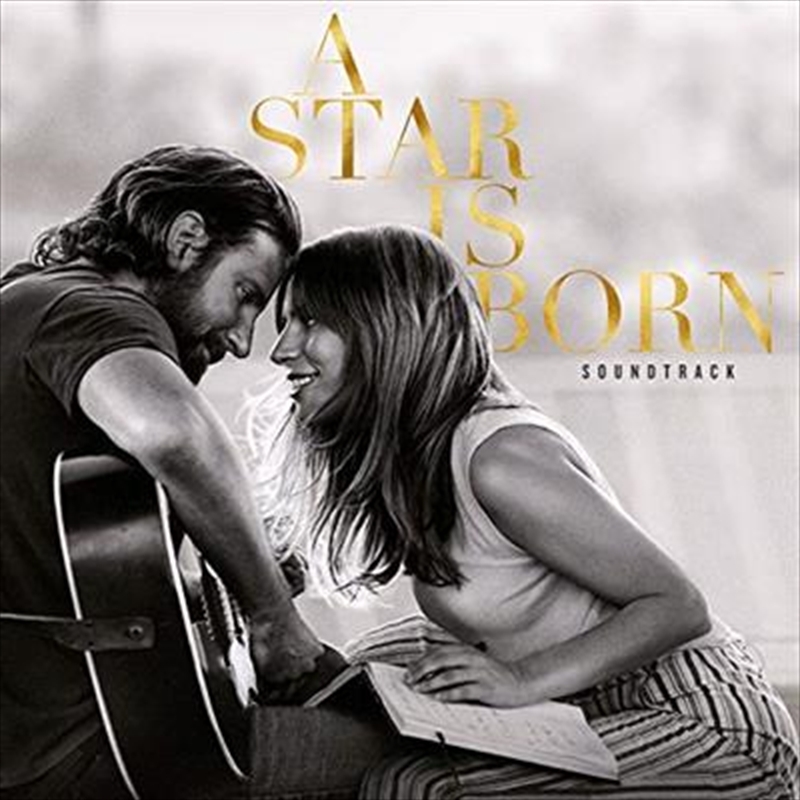 Bradley Cooper opens the track with an acoustic guitar and rough live vocals before Lady Gaga comes in with simple piano accompaniment and sweet vocals. With the incorporation of a full band and big drums, Gaga vocally soars and takes this song to a whole new sonical place. They then deliver the raw duets ‘Music To My Eyes’ and ‘Diggin My Grave’ before Gaga takes over the remaining of the soundtrack. ‘Always Remember Us This Way’ is a simple live ballad before ‘Look What I Found’ gives you a bit of a funk. She unleashes her inner pop diva with the absolute bangers ‘Heal Me’, ‘Why Did You Do That’ and ‘Hair Body Face’ which are all stronger than her two last albums combined. But she truly shines in the ballads ‘Is That Alright?’ and ‘Before I Cry’ which are little tear jerking moments that will have you feeling all the feels. But lets be honest, it’s ‘I’ll Never Love Again’ which will leave you an emotional mess. The whole soundtrack has been perfectly put together and takes you on a rollercoaster of emotions that perfectly resonates with the storyline. And I really don't need to describe how powerful both of their vocals are because from a first listen you will be absolutely captivated and ready to book three consecutive sessions to this movie.